Visit Avers Auto Sales online at WWW.AVERSAUTOSALES.COM to see more pictures of this vehicle or call us at 847-221-8246 today to schedule your test drive. ***IF YOU NEED AUTO FINANCING AND HAVE A LESS THAN PERFECT CREDIT HISTORY NO WORRIES!!! WE OFFER FINANCING FOR ALL CREDIT SITUATIONS!!!! YOUR JOB IS YOUR CREDIT!!! WE WORK WITH MANY DIFFERENT FINANCIAL COMPANIES AND BANKS SO WE WILL TRY HARD TO GET YOU APPROVED ON VEHICLE THAT YOU CHOOSE ..... APPLY ON-LINE AT OUR WEBSITE..... WWW.AVERSAUTOSALES.COM..... All loans subject to credit approval. Rates terms and conditions are subject to change and may vary based on creditworthiness qualifications and collateral conditions. Not all applicants will qualify for the lowest rate. Applicant must meet bank criteria. Other restrictions may apply. Please add tax , title license and doc. fee to all prices & payments. All offers with approved credit. Please contact us directly if you have any questions. Odometer Reading Is Accurate At Time Of Posting. Please Understand That Due To Test Drives Etc. Miles May Be Slightly Higher Upon Actual Viewing. WE ACCEPT ALL MAJOR CREDITS CARDS ..... WE SHIP CARS AROUND 50 STATES ..... WE TAKE ANY TRADES ..... WE BUY CARS..... WE PAY MORE ..... PLEASE CALL TODAY TO SCHEDULE AN APPOINTMENT . Call 847-221-8246 and I'll do a walk around the vehicle for you! ***Extended Warranty Available to Purchase*** Please contact me by phone or email if you have any questions, please call me at 847-221-8246***FINANCING AVAILABLE FOR IL , IN , MI, WI CUSTOMERS ONLY !!! NO CREDIT, BAD CREDIT, BANKRUPTCY - NO PROBLEM! ***Price excludes taxes,license and title fee,and a documentary fee. 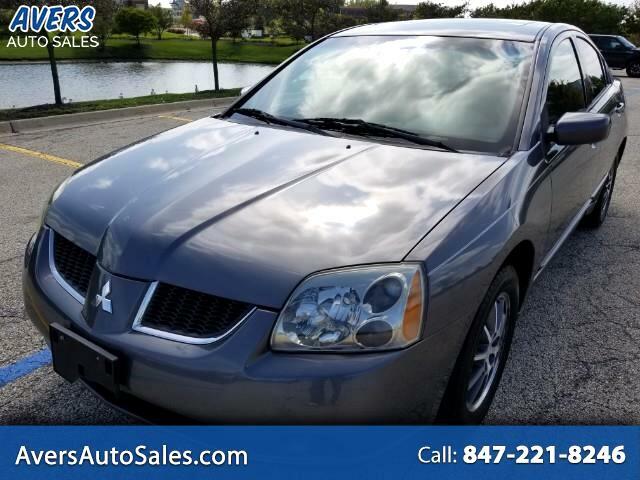 Message: Thought you might be interested in this 2004 Mitsubishi Galant.